As we enter September, we conclude our retirement incentive program. Nearly 100 C&Ts have opted to take advantage of the incentive. Together they represent over 3,200 years of service to the university. Many of them helped found our union and fought hard for the standard that we all enjoy today. So far, Yale has paid out well over 3 million dollars to our sisters and brothers through the retirement incentive program. Take a moment to thank them for all of their hard work! With summer upon us, we hope that you will take a minute to reflect on the amazing spring that we had! 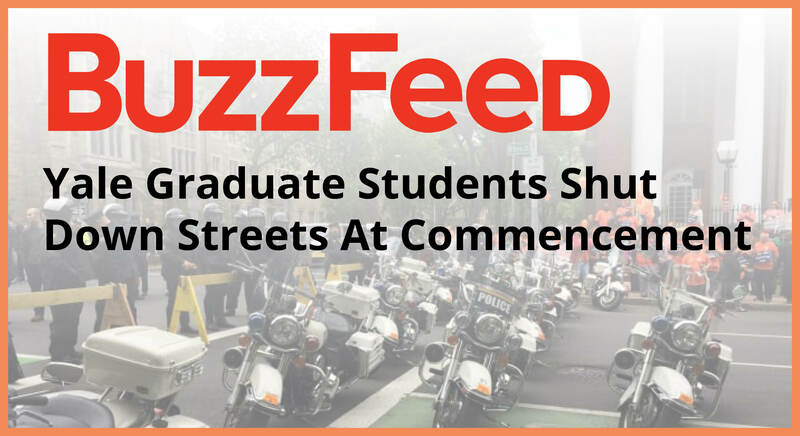 Commencement was the culmination of months of action, and we cannot overstate how good it was to see all of you who participated out there marching with us. We've included a wrap-up of Local 33's month of action below. There is a video to watch and some great press to read. We encourage you to check it out and share it with your friends and co-workers. We hope your summer is off to a good start! So much happened in the month leading up to Commencement, we can barely keep track. We made this video to try to capture the spirit of our month of actions. We hope you'll take a minute to watch it and share widely on Facebook and Twitter! 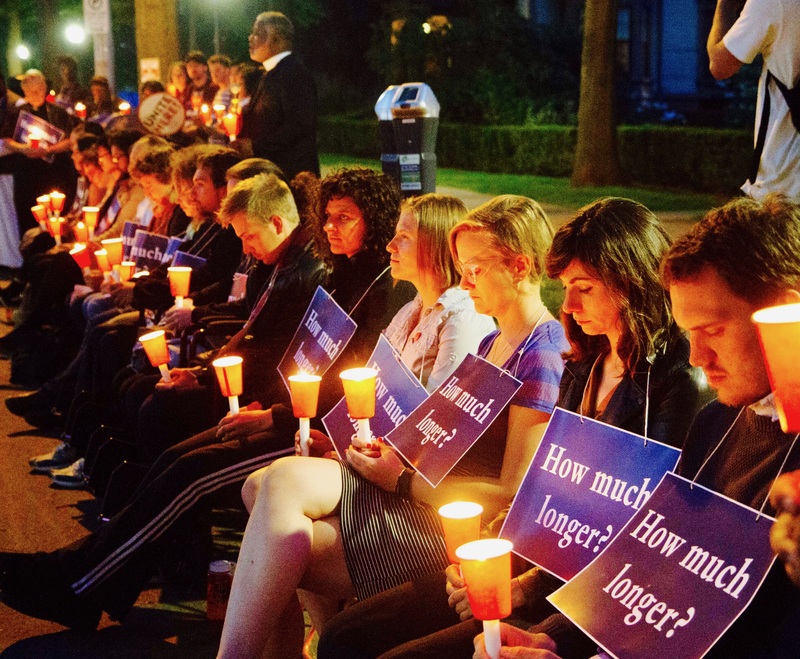 Our actions were covered in hundreds of news outlets across the country and the world. A few highlights are below, and you can check out the full press digest here. Short-Term Disability Insurance is Here! At this time last year, we were taking our Local 34 Contract Survey. In that survey we were clear that we wanted to add a short-term disability plan to our already excellent benefits. In our contract settlement, we won a voluntary short-term disability program!We are happy to announce that since we ratified our contract the Local 34 Health Benefits Enhancement Team (HBET) has been working very hard with the university to choose the best plan for our union. The HBET team researched all of our options for short-term disability insurance. After reviewing all of the vendors, coverage levels, and fine print, they recommended AFLAC to the Executive Board as they offered the strongest and most comprehensive coverage. A special enrollment period will begin on July 1, 2017 and run for the entire month. Employees who sign up in July will have coverage starting on August 1, 2017. Due to the implementation of Workday, premium payments will be withdrawn directly from members' bank accounts for the rest of 2017 only. As of January 1, 2018, those payments will be directly withdrawn from paychecks. The normal enrollment period will be during our standard annual enrollment period, which typically occurs during the first two weeks of December. Employees who sign up in December 2017 will have coverage effective January 1, 2018. Premiums vary depending on your age and salary. 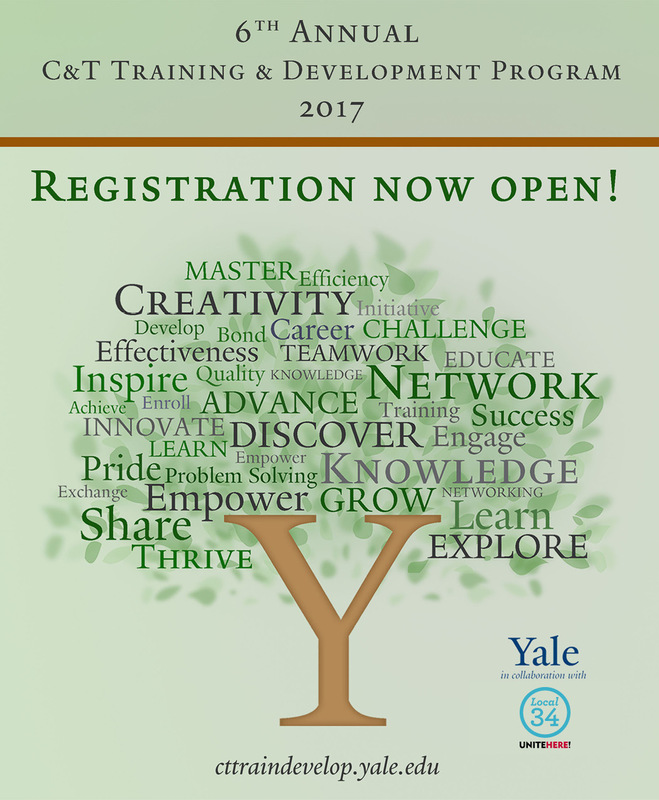 Register for the 2017 C&T Training and Development Program now! Over the last seven years, Local 34 has worked with the University to develop a training curriculum for C&Ts, focusing on skills we need to advance or move within the University. Our contract guarantees C&Ts up to 30 hours of paid training time each year. Please be sure to work with your supervisor to help plan for coverage when you sign up for classes. 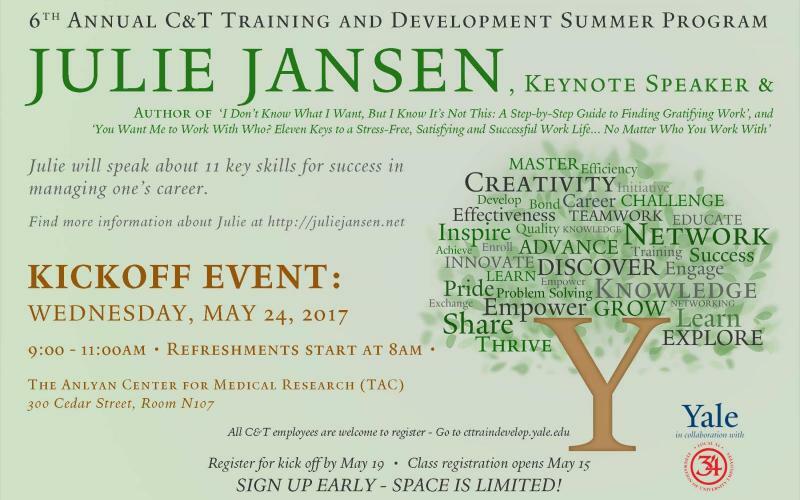 To accommodate the Workday Financial implementation, the C&T Training and Development Program is designed differently this summer. Going forward, additional programs will be offered throughout the year to reinforce skill development. Stay tuned! Click here to take advantage of this benefit and sign up! How do I record this in MyTime? On your timecard, click on the +→ button next to "Hours Worked"
Tuesday marked three weeks of Local 33's Fast Against Slow. 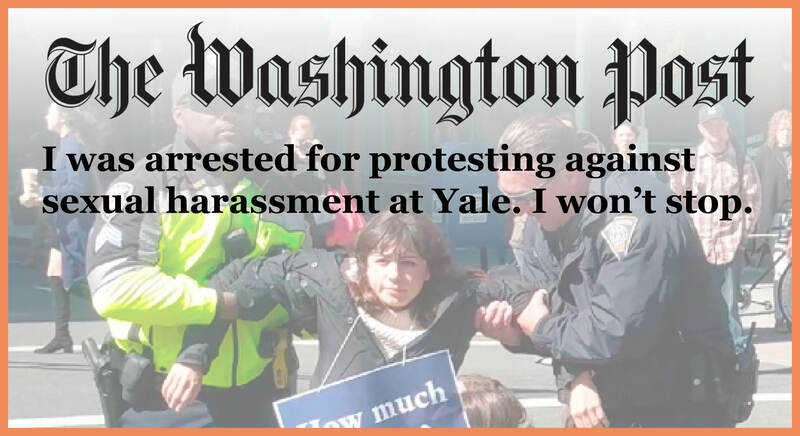 That's three weeks of Yale continuing to be on the wrong side of history. 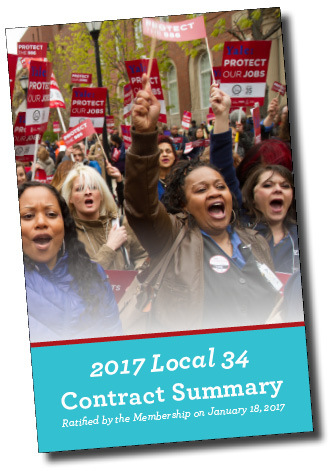 We're sending along an update from our friends in Local 33—please take a few minutes to read the amazing press coverage of their campaign! 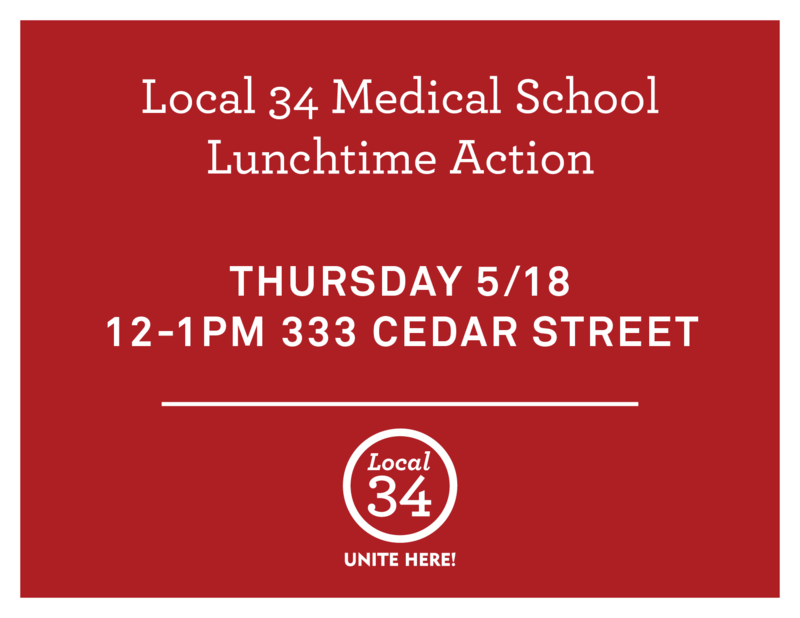 Join us today, at 333 Cedar Street for a noontime picket. 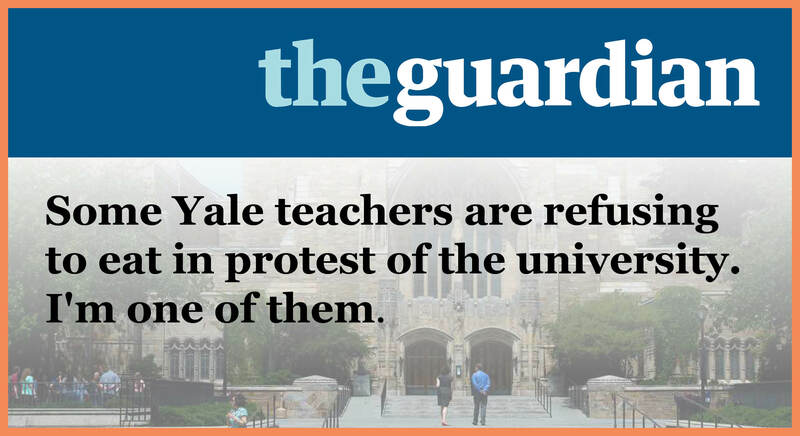 Let's show Yale that we won't stand for their union-busting ways! We'd like to take a moment to catch you up on some highlights from week three of the fast. 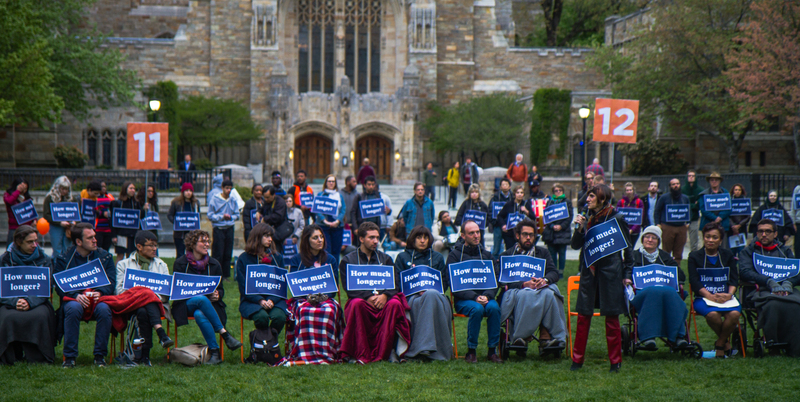 We marked two weeks with a powerful action asking Yale: How much longer? 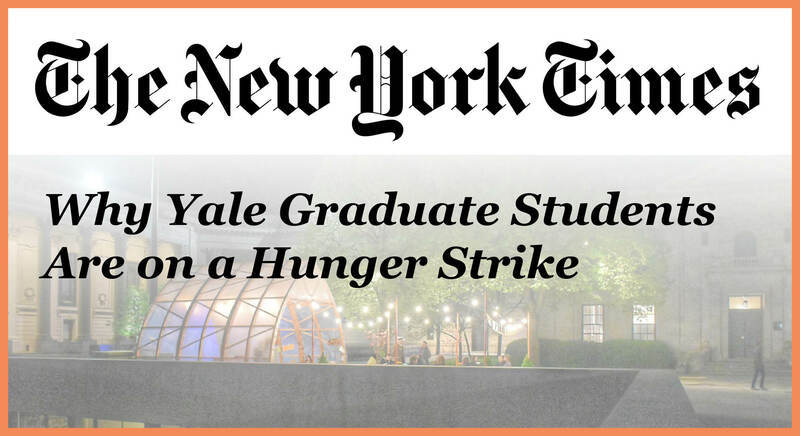 We know that Yale likes to do things on their own timeline. 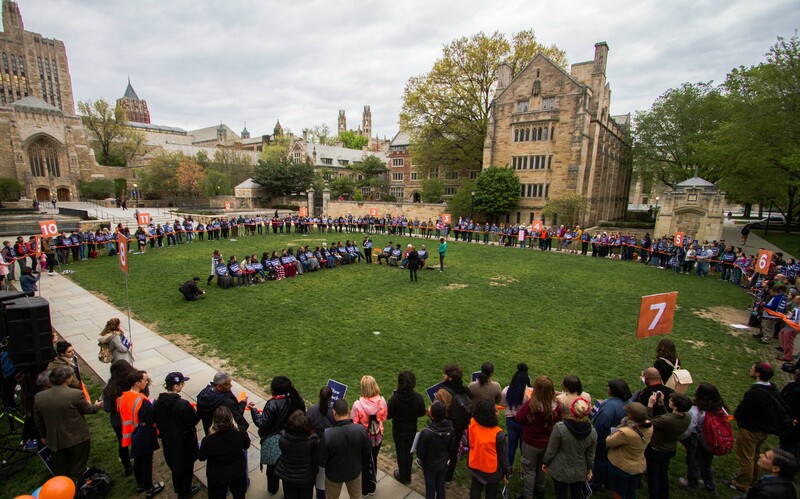 Together with our allies, we took to Cross Campus to make our own time—in the form of a giant, moving human clock . 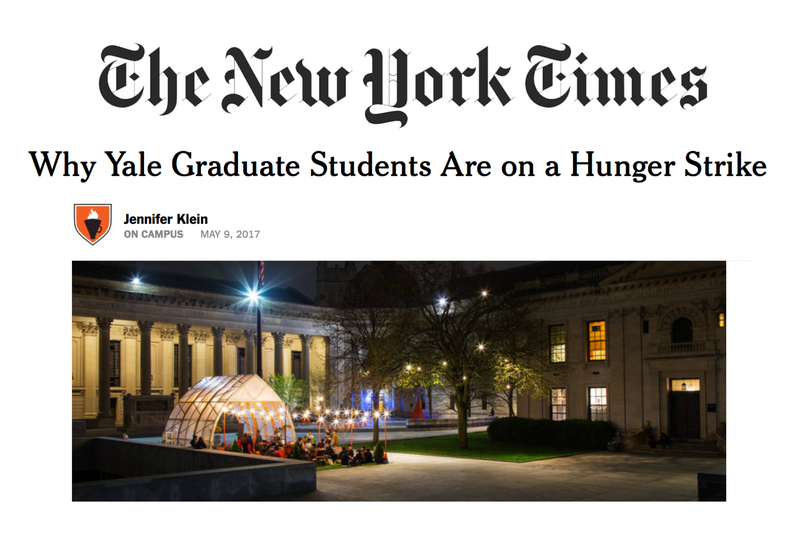 . .
We made national headlines including this excellent piece by Professor Jennifer Klein in the New York Times! 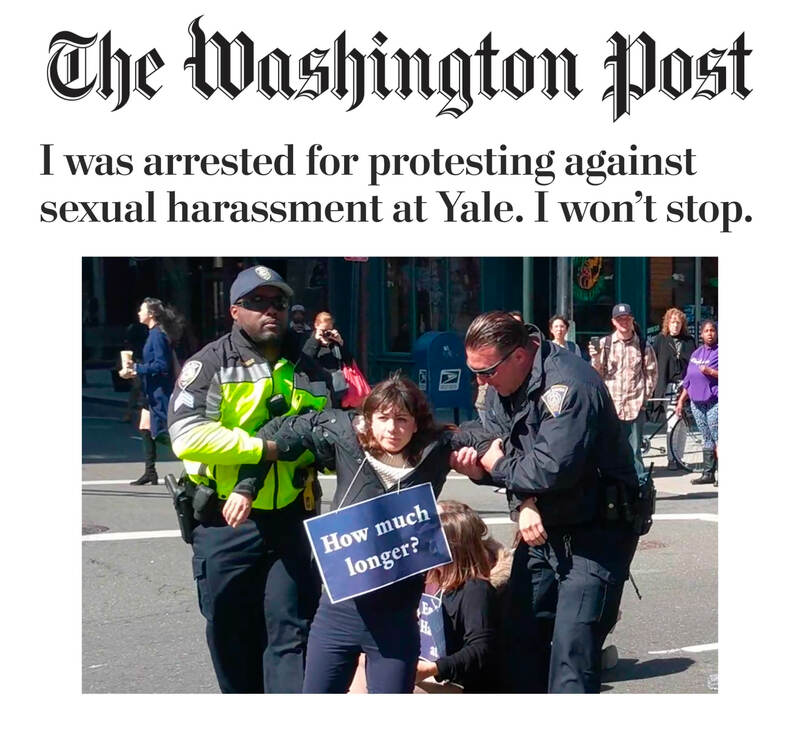 And The Washington Post published our member Julia Powers' op-ed exposing Yale's culture of sexual harassment. Undergraduates delivered more than 1,000 petition signatures in support of us to the President's Office . . . 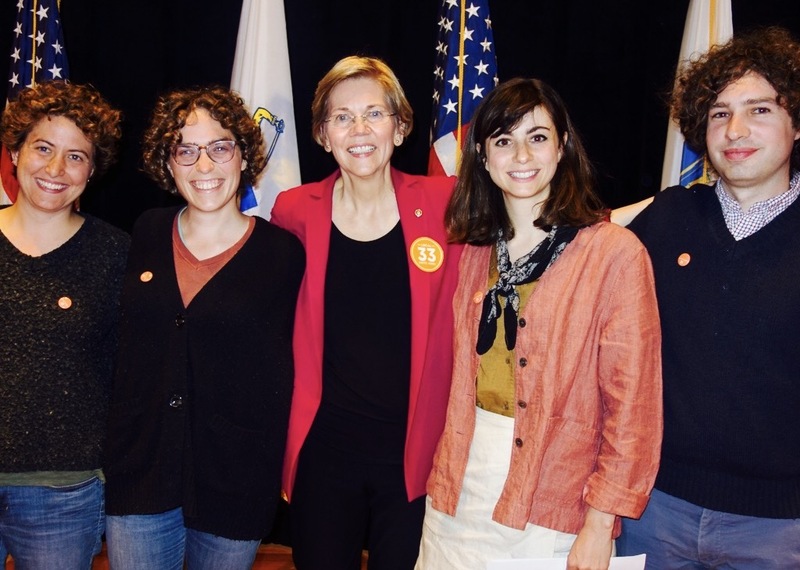 Senator Elizabeth Warren pledged her support . . .
As did Congressman and Deputy Chair of the Democratic National Committee Keith Ellison (D-MN) who called on Yale to negotiate . . .
We've made an indelible mark on Yale University . . .
And on Tuesday, temporarily, on Beineke Plaza . . .
Click to watch coverage of Tuesday night's action on Channel 8. Thanks for all of your support, we'll see you soon! It's back! Our very successful program, now bolstered by a $75,000 budget that we negotiated in our contract, will run from June 6 to August 2. Course registration will open on May 15, through the Training Management System (TMS). Come join us and your colleagues on May 24 from 9-11am as we kick off the program for 2017. The event will take place at the TAC building at 300 Cedar Street in the Medical School. Refreshments start at 8am. If you'd like to attend, please RSVP here. Our contract guarantees C&Ts up to 30 hours of paid training time each year. You may use this time for any course offered, whether or not it relates to your current position. Local 34 Yale Press Committee Member Lisa Scecina was honored for over 25 years of service. On May 3, our colleagues with over 25 years at Yale gathered for the annual Long Service Awards. Many of our sisters and brothers in Local 34 and Local 35 were there to be honored for their service to the university. 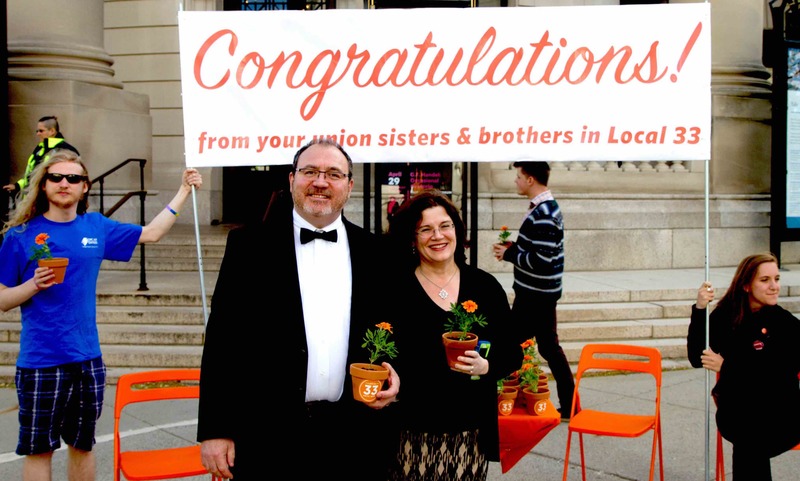 Our friends in Local 33 were set up outside the event to congratulate the honorees and hand out potted marigolds to show solidarity with those fasting only a couple hundred feet away. 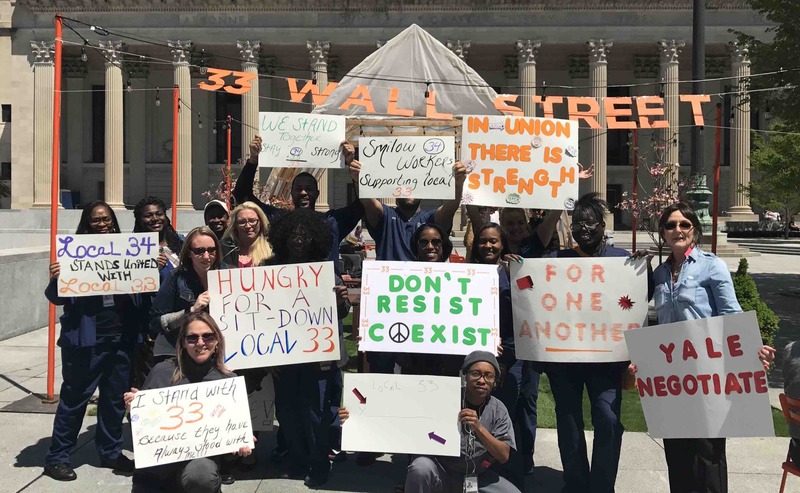 On May 4, the Organizing Committee from the Smilow Cancer Center stopped by 33 Wall Street to check in on the Local 33 fasters. As you can see, they brought the love with them! 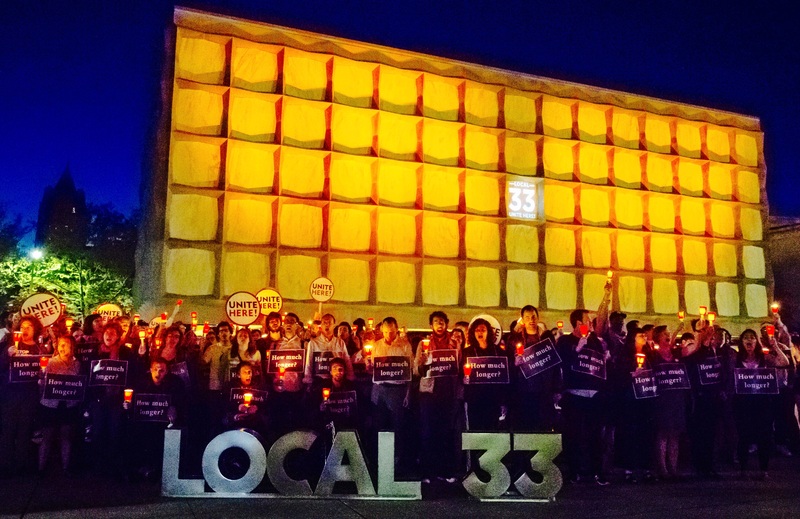 Local 33 sends along a heartfelt thank you to all of those who have come by to say hello, and they invite everyone to come down to Beinecke Plaza and visit. conversations about our new contract! Across campus we have been having informal contract education caucuses. These meetings, usually during a lunch hour, are a great way to get to know our contract. Would you like to know about our job security language? Would you like to calculate your raises for the next five years? Do you have any questions about health care benefits? Would you like to know how to make sure we keep winning great contracts for years to come? If you'd like to attend a caucus, please reach out to the Local 34 committee person in your department, or call the union office at (203) 624-5161. 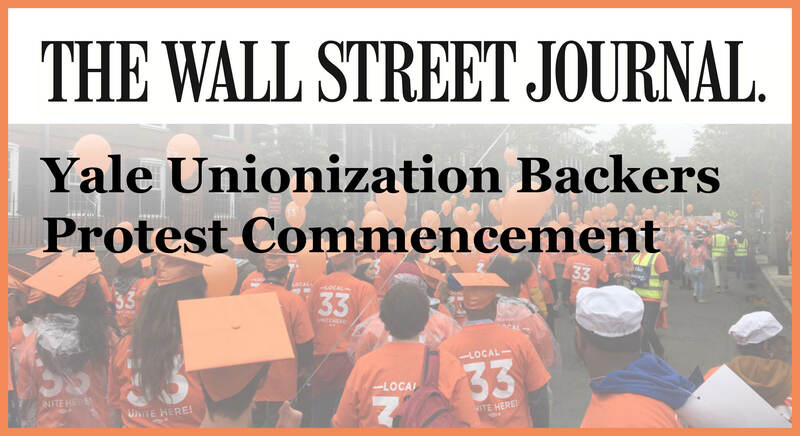 News of the Local 33 victories continues to reverberate! 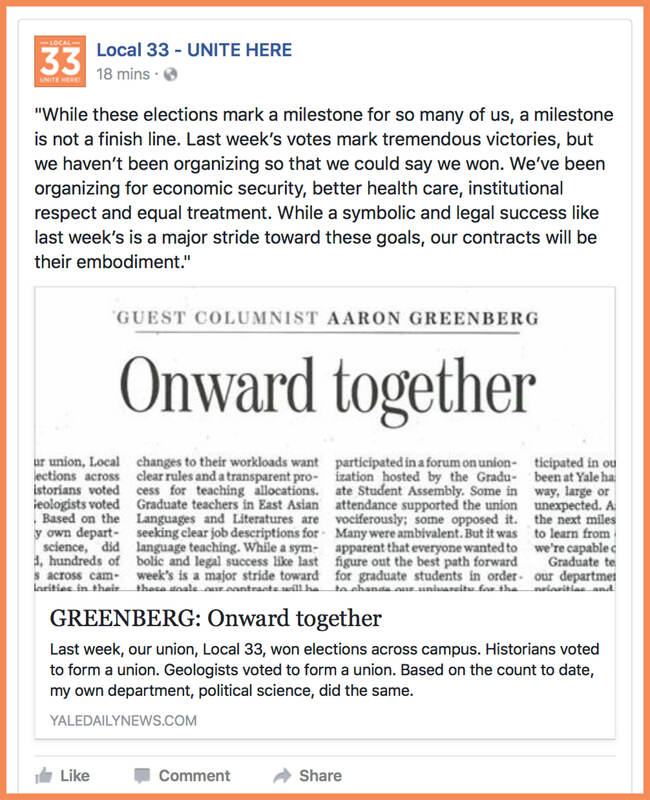 Meanwhile, Local 33 Chair Aaron Greenberg from Political Science wrote a piece in the Yale Daily News about the next steps for Local 33. Take a minute to read and share it on Facebook! The heart of our union is our Organizing Committee, hundreds of Local 34 members who volunteer their time to make sure our union is successful. The committee gathered on August 10 to discuss our upcoming contract and how to secure our great union standard once again. We discussed how far we've come since the beginning of this year and what we'll need to do to win another great contract. We've been pushing the University inch by inch, at our 5/5 rally and in numerous meetings with management in departments across campus. Each united action we take builds our strength and moves us forward. 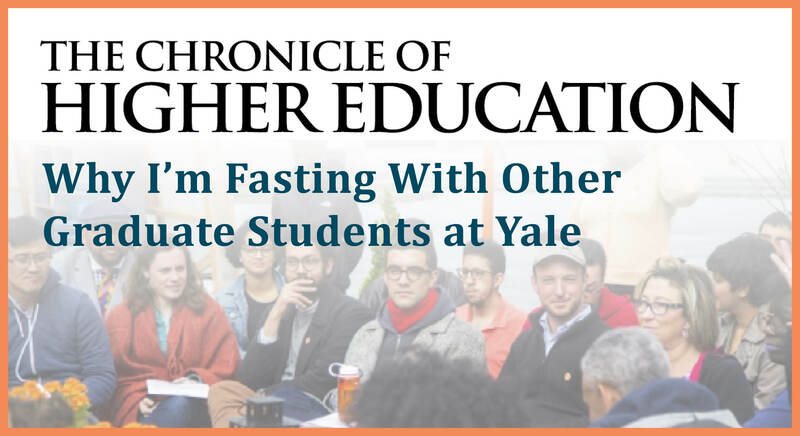 Over the last 13 years we've worked out a very successful partnership with Yale that has relied on a mutual understanding that if we work together, we can resolve our issues peacefully to the benefit of both us and the University. Since 2003, Yale has grown significantly while we’ve been able to secure excellent contracts. 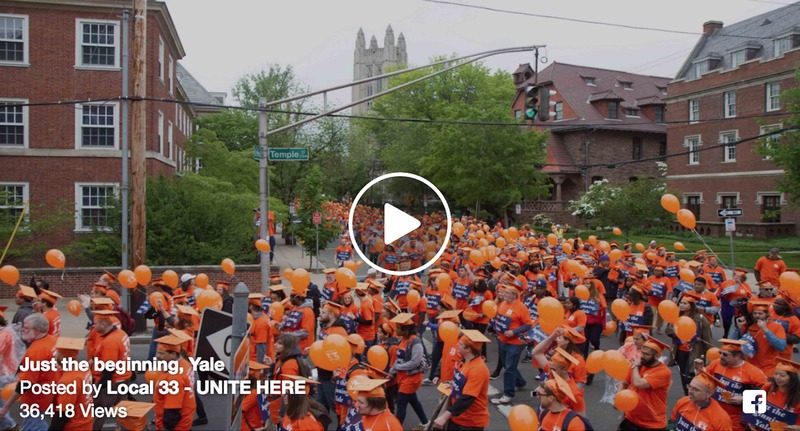 For the 10 years following 2003 we grew as Yale grew, creating many of the good jobs that we all rely on. As we engage with Yale once again to negotiate our 2017 contract, we can see that things have changed. The University is aggressively trying to change how our work in the clinical areas is performed, while across campus we are being asked to do more with less. 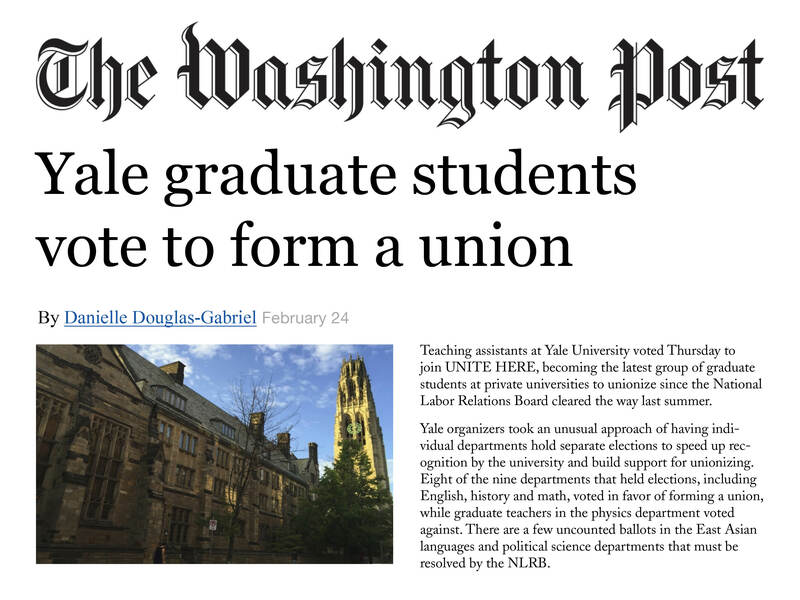 For the first time in our history as a union, we are seeing the number of C&Ts at Yale decline. It's the first priority in our contract negotiations to reverse this trend, and across campus we are working hard to make sure we secure language that will protect all of our jobs. Health care drives most of the cost of our benefits. Yet, many of us pay no premium and get our care at Yale Health. Across the country heath care costs are skyrocketing. Yale has signaled for years now that as these costs rise, they would like to pass these increases along to us. It is our contract that has held these costs at bay, and we are making sure that we fight as hard as we can to keep our standard intact. We haven't begun these negotiations yet, but our health care team has been working to make sure that we are ahead of the game when we do. The team has been working incredibly hard to keep health care costs low, while maintaining our excellent options. We submitted a thorough information request last November to assess all aspects of our medical plans and health programs. This month the University fulfilled the last piece of the request with a detailed study on the prices both Aetna and Yale Health pay for services at Yale-New Haven Hospital and the Yale Medical Group. We’ll analyze this data and make sure that Yale is able to get the best costs possible for our members, keeping our health care options intact.